In recent decades, throughout China, traditional medicine and complementary and alternative medicine have become less popular than modern scientific medicine / western medicine). Nevertheless, in western regions of China, traditional Tibetan, Mongolian, and Uighur medicines are still being taught in colleges and universities. Rural and indigenous peoples in China and other parts of Asia continue to trust their ancient medical practices over modern western practices, despite being outnumbered by dominant groups and practices. Take, for example, Chinese Mongolia. As of the year 2000, Inner Mongolia’s population was 23.76 million people, with Mongolians only numbering 3.97 million, or 17% of the local population. As the Han people migrated into the IMAR, they brought Western medicine, and it gradually came to dominate the region. Yet Mongolian medicine still remains popular. Mongolian medicine has been impacted by Chinese medicine, Indian medicines, and Tibetan medicine, but it is a unique medical philosophy. Like other ancient medical practices in China, Mongolian medicine was formerly taught via the master–disciple model, and not in schools. But with the rise of the Communists in the 1950s, students of Mongolian medicine now study at the tertiary level in special colleges established by the Chinese state. For example, in 1958, in Tongliao, Inner Mongolia, the Ethnic Medical College was founded to promote Mongolian medicine. Additionally, at the same time, in Hohhot, Inner Mongolia, a Department of Mongolian Medicine was housed inside the Inner Mongolia Medical College - which also instructs their students in western medical practices. Both institutions have five-year bachelor’s programs, and together they graduate approximately 100 doctors of Mongolian medicine per year. (This is one tenth of the amount of western medical graduates). 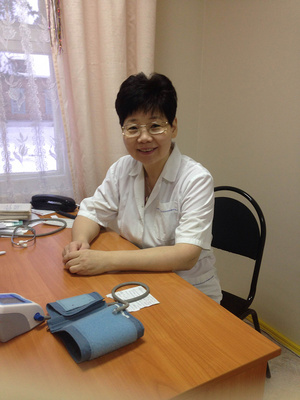 Sadly, hospital beds and doctors offering Mongolian medicine are limited in Inner Mongolia. In 2003, the IMAR had 31 Mongolian medicine hospitals, with 968 beds in total as compared to 55 Chinese medicine hospitals, with 4192 beds. Clearly, western medicine has priority over traditional medicine in the IMAR as elsewhere in China. Scholars currently report that traditional medicine is undergoing a kind of identity crisis as China continues to modernize and prosper. To cope, traditional practitioners are fusing their ancient indigenous practices with modern western methods. As indigenous medical theories and practices evolve, new ways of treating patients are coming into being. Significantly, Mongolian (and Tibetan and Uighur) traditional doctors must now know great deal about western medicine, but the reverse is not the case. What has generated the increasing marginalization of traditional medicine in China? As China has modernized, many leaders and intellectuals have advocated western medicine as a system that seems more effective and causes less physical pain toward those who suffer. Yet it is important to consider the preventative goals and cultural context of traditional medical practices. For example, Tibetan and consequently, Mongolian medicine, are significantly influenced by the Buddhist worldview. Thus, disease equates with suffering, and suffering derives from the fact that we all live temporarily on this earth. Additionally, Buddhist thought suggests that sickness ultimately springs forth from our karma (our negative actions). Karma can include our actions from previous lives, as well as the present life. Thus, to be healthy a person should strive to live a harmonious and positive life while on earth. How to do this in the Buddhist tradition? As a starter, Tibetan and Mongolian Buddhists try to recognize that their egos manifest their karma via ignorance, which in turn generates what Buddhists call the three “poisons”: attachment, hatred, and close-mindedness. These negative poisons generate, and are correlated with, three substances in the body: air, bile, and phlegm. By living a positive life, and monitoring these substances, one is taking preventive measures to help ensure good health. In China, Tibetan and Mongolian Buddhists also strive to live a spiritual life by following Buddhist philosophy based upon the practice of the dharma. This means that both Tibetan and Mongolian medicine offers rituals, sacred days, and other practices for people to observe in order to remain in physical balance with the earth and the universe. Another aspect of this cosmology asserts that everything consists of five elements: earth, water, fire, air, and space. Traditional Tibetan and Mongolian pharmacology and pathology follow the premise that these five energies influence the body via the humours: air (wind) -- Air; fire (heat) -- Bile; earth and water (dampness and humanity) -- Phlegm. When these energies get out of balance, these humors become disturbed, and cause disease. In addition to the concept of humours, Buddhist medical practices also make use of Tantric philosophy, which ideally aims to destroy the ego in order to achieve bliss. Tantric Buddhism asserts that these five elements have three levels: gross, subtle, and essence aspects. The essence aspect is a pure mind, or a “Wisdom Mind.” Tantric thought also encourages practitioners to enjoy life in the physical body, and to follow physical and physiological desires in order to have one’s energies and essences flowing and discharging. Healthy sexuality is also valued as a positive force that promotes health. Moreover, Mongolian and Buddhist medicine promote health by distinguishing between fundamental and mundane treatments. Fundamental treatment consists of adhering to the Buddha's so called three cures: Wisdom–insight cures ignorance and confusion; Virtue–compassion cures attachment, clinging, greed and lust; and Contemplation–meditation cures anger, hatred and aggression. In contrast, mundane treatment makes use of medications and routine medical techniques. In short, this means that a traditional Tibetan or Mongolian doctor is something like a shaman as well as a trained medical expert. He or she must be able to intuit and feel, by various pulses, observations, and ways of palpating a patient, the sufferer’s spiritual condition. Tibetan and Mongolian doctors also offer their patients a variety of herbal and organic elements as medicine. When preparing this medicine, doctors will chant or pray over the medicine, just as a shaman may do, and the doctor may require the patient to also conduct rituals when consuming the medicine. These rituals serve as pathways to empower the medicine and the sufferer, and to honor the earth for the gift of providing a cure. Clearly, the goals of traditional medicine as opposed to western medicine may parallel in the desire to alleviate pain and suffering, but the procedures are very different. If we return back to the Tantric concept of “Wisdom mind” – this Buddhist principle highlights the need to avoid negative actions (karma) by discharging desires and humours effectively. Thus, traditional medical treatment is holistic, addressing the body and the spirit, while modern western medicine simply addresses the physical body. Which type of medicine is more effective? Many factors come into play in answering this question. We must the training and skill of the doctors, the efficacy of the remedies, and the trust of the patient. Many people around the world feel that traditional medicine is best for preventive care, while western medicine is excellent for trauma conditions. Yet in evaluating medical practices, other human values must be factored in addition to indices of pain or long-term health. Specifically, the sociocultural context of the patient must not be ignored. For example, if the cultural norm underlies giving birth at home, or setting a bone using ancient ways, is it moot to argue that more infant mortality takes place in homes than hospitals, or that bone-setting is extremely painful? Certainly, the medical functions, methods, and goals of every culture deserve honor and respect. In concluding, I would like to note that Chinese authorities have made positive efforts to preserve and pass on traditional medical practices. The Hohhot Medical College is a distinguished and excellent institution, where students – Buriat Mongols from Russia, Outer Mongolians from Ulan Baataar, and even foreigners – come to study alternative Mongolian medical practices. This ancient knowledge has not been lost, despite revolutions and upheavals, and it continues to effectively serve Mongolian and other patients.